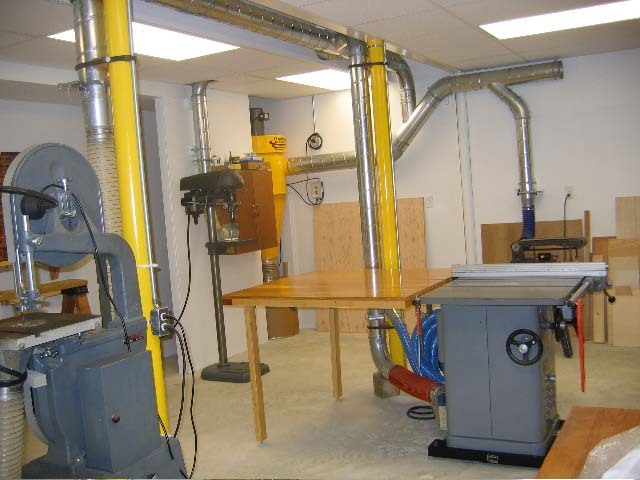 Woodworking Hobby Shop Dust Collection now offered by Air Handling Systems. For many years, Do It Yourself woodworkers have inquired about the use of our piping. Cost constraints were a major obstacle in the use of industrial pipe for a small shop. For this reason, Air Handling Systems has developed a complete line of DIY Ductwork. 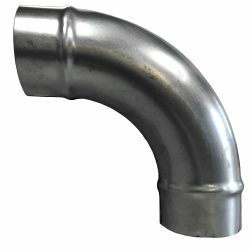 We have maintained all proper design characteristics of the industrial piping. 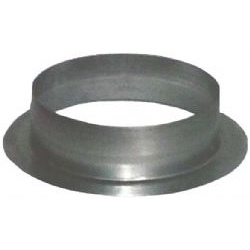 Manufacturing in lighter gauges of galvanized metal has considerably cut the cost. The DIY ductwork will withstand the vacuum level of up to a 3 horsepower dust collector. Size spectrum is 3″ – 7″ diameter. We look forward to helping you achieve a dust free wood shop as we have done with thousands of industrial wood working factories. 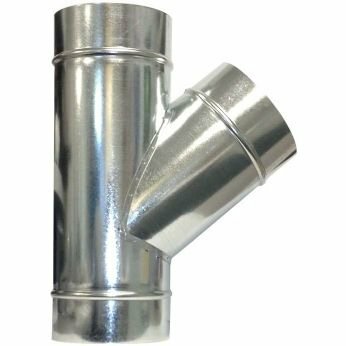 Ductwork available in 3″ – 7″ diameter. Will withstand the vacuum level of up to a 3 horsepower dust collector. 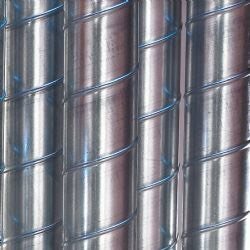 Maintains all proper design characteristics of our industrial ductwork. 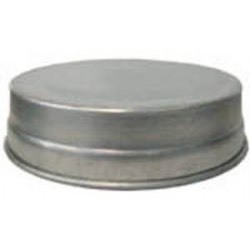 Manufactured in lighter gauges of galvanized metal considerably cuts the cost. Light 26 Gauge Spiral Pipe perfect for a small hobby shop with a max 3 HP dust collector. 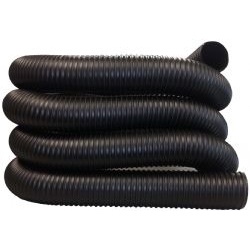 Industrial weight Hobby Shop Flexible Hose offers great flexibility and smooth interior. Light 24 Gauge 45 Degree Lateral Tee perfect for a small hobby shop with a max 3 HP dust collector. Light 24 Gauge 45 Degree Saddle Tap Tee perfect for a small hobby shop with a max 3 HP dust collector. Light 24 Gauge Y Branch perfect for a small hobby shop with a max 3 HP dust collector. 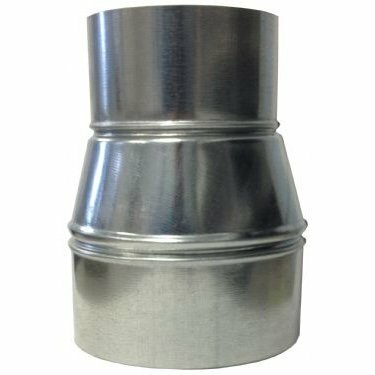 Light 24 Gauge 45 Degree Elbow (die-stamped galvanized stitch welded) perfect for a small hobby shop with a max 3 HP dust collector. 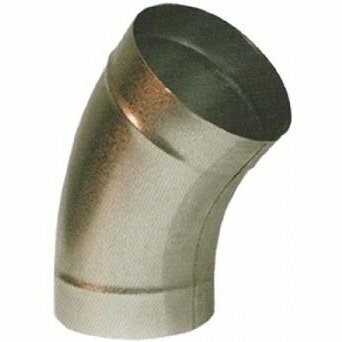 Light 24 Gauge 90 Degree Elbow (die-stamped galvanized stitch welded) perfect for a small hobby shop with a max 3 HP dust collector. Air Handling Systems Aluminum Blast Gates are constructed of aluminum castings with a galvanized steel slide blade. Blast Gates are used to balance the air going from one branch to another branch. 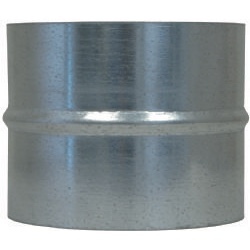 Light 24 Gauge Reducer perfect for a small hobby shop with a max 3 HP dust collector. Light 26 Gauge Nozzles perfect for a small hobby shop with a max 3 HP dust collector. 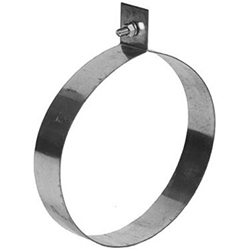 Economical Hangers are fabricated of 20 gauge galvanized steel, which is stronger than most competitors. They are perfect for lighter duty applications. Hanger strapping is used with economical hangers. 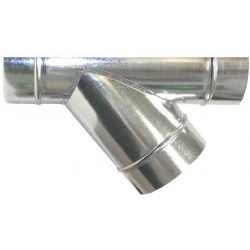 Use a Small End Coupling (male) for connecting pipe to pipe and flexible hose to pipe. 24 gauge construction. 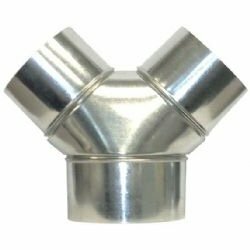 Use a Large End Coupling (female) or short piece of spiral pipe for connecting fitting to fitting. 24 gauge construction. 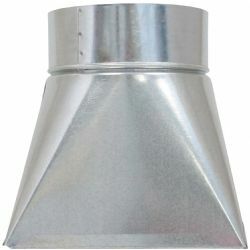 Light 24 Gauge End Cap perfect for a small hobby shop with a max 3 HP dust collector. 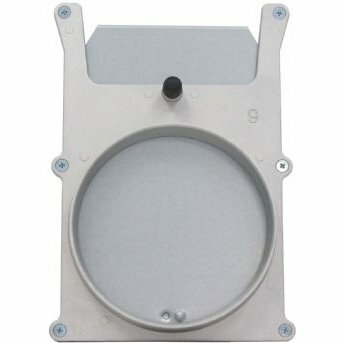 Light 24 Gauge Starter Collar perfect for a small hobby shop with a max 3 HP dust collector.